Another showdown is looming between doctors and government as the Health ministry has not yet addressed doctors' demands agreed in the collective bargaining agreement (CBA) which saw the medical practitioners ending their industrial action. In December the doctors embarked on a 40-day industrial action that ended in January this year, protesting the severe shortages of pharmaceutical drugs and equipment at public hospitals, among a host of other grievances. In a letter seen by the Daily News, addressed to the Health Service Board Health and Health minister Obadiah Moyo, the Zimbabwe Hospital Doctors Association (ZHDA) said their members were swamped with "anxiety and worry" after government had been sluggish in addressing their genuine demands. "Most of the matters in the CBA have not been fully implemented as agreed upon. This has created an impression that the ministry has entirely abandoned its workers and is failing in its duty to honour legally binding agreements," ZHDA secretary-general Mthabisi Bhebhe said. Bhebhe added that the Health ministry has remained unresponsive to calls made for the need to procure hospital equipment that is required to diagnose and operate patients. "Hospitals remain in a dire state with no basic medical supplies. Most basic and lifesaving medicines remain unavailable and there has not been any form of communication on what the ministry is doing to address this challenge." Bhebhe further noted that State hospitals were also grappling with lack of proper working equipment, causing the public hospitals health delivery system to diminish dismally. "It has been observed with grave concern, cases of fatally ill patients being deprived lifesaving services because the diagnostic and theatre equipment is not fully functional." The doctors put government to task demanding them to urgently respond to the letter and to be sincere in its dealings with doctors. Among the agreements in the CBA included a $6 million vehicle loan scheme, duty-free facility and accommodation and housing scheme and government is yet to address these. Raising concerns on behalf of the distraught doctors, Bhebhe said the agreed deadlines have already passed. "Informed and guided by the CBA, which is a legally enforceable document, we request the ministry to respond why it has willingly opted to delay and violate this particular area of the agreement," he added referring to the duty-free facility. To add on, all of the monetary promises have already been eroded erratically by the new 2,5 percent Monetary Policy exchange rate. The disgruntled doctors further stated that they also want their employer to review their salaries upwards above the poverty datum line they estimate now to be over $800. With a basic salary of $329, on-call allowance of $288, $49 medical allowance and $70 housing allowance, Zimbabwean doctors remain one of the lowest paid doctors in the world. Meanwhile both doctors and teachers have suffered the same fate, as the cash-strapped government is also struggling to keep the country awake. 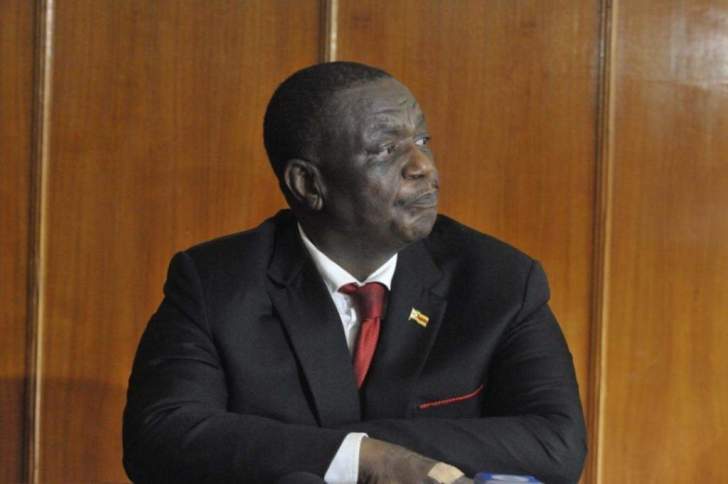 Government has been vexed with headaches from civil servants in particular teachers who have also been demanding a salary increment after the economy has degraded both their pensions and their monthly incomes. Apart from this, fuel queues have also resurfaced and foreign currency remains out of reach. "We were given assurance that the ministry had intervened to improve transport to work by procuring fuel for doctors who are working in government hospitals. In good faith, we believed it was the case. However, facts on the ground are that, there has not been any intervention or improvement on this regard. Fuel is now expensive, in short supply and doctors continue sleeping in fuel queues," said Bhebhe.